Anne Hare is a running coach from New Zealand who reached the 1996 Atlanta Olympic Final for the 5,000m. 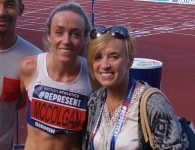 Having also competed in 3 Commonwealth Games in 1986, 1990 and 1994, Anne coached herself to the ’96 Games with the support of the coach she had from aged 18 and has since gone on to coach herself. What are your memories of competing at the 1996 Olympics? It was pretty tough to get to that level! The actual Olympics like 7th Heaven! I was 32 when I became an Olympian, I was (and am) one of those people who are very diligent, so I went over to the States quite a few times before the Olympics to get used to the conditions. I knew it was going to be hot and humid over there. I trained and competed doing mainly road races with a couple of track races before hand. My memories of actually competing – I knew I had done all my homework, I knew I was fit enough, so gave it my all. I managed to get into the final which was a pretty big deal. You mentioned that you coached yourself to the Olympic final, why did you decide to do this and how difficult was it? It wasn’t really a decision, it just kind of evolved. My coach was a National coach, him and his wife were actually sprint coaches, although my coach John Hunt really coached female middle distance runners, anything from 400m up to about 5 / 10k. My coach had a philosophy of coaching people so they could coach themselves and also to ultimately become coaches themselves…and thats really what happened with me. So I was coached by my coach from around the age of 18 / 19 and he took me through to running 2 minutes 3 seconds for an 800m, 14minutes for a 5k. I really wanted to be a track athlete, road running and cross country running was really just there to help me get stronger and fitter so that I could transfer that to the track. So because my coaches philosophy was the way it was (ultimately coach yourself out of a job effectively), thats what he did. He coached me from the age of 18 and I got to my Olympic final aged 32, if I hadn’t learned something in that 14 years, then I would have had to have been pretty thick! I learned an enormous amount because my coach was great at sprint drills, technique, the different components of training (i.e. strength training, speed work, tempo, etc). He was brilliant, I couldn’t fault him – expect for the time he thought I was super human and gave me too much training! haha…but we both learned from that and learned not to combine track work, road running and weights ever again! By the time I got to the Olympic level, I had planned out all my training and just went to him to talk through it to make sure that I was doing everything that I needed. So effectively I did coach myself and it wasn’t that I was disappointed with my coach, it was just something that evolved. I would expect that if I coached someone to that level they would understand things themselves without me having to prompt them all the time. How has failure or apparent failure helped to set you up for success as an athlete or coach? I didn’t feel it was necessarily a failure, but I didn’t qualify for an Olympics until I was 32, and it was frustrating because I had ran some great times in the years before hand. Back in that time of the 1980’s, it was the ‘drug era’, so whilst my times were great, a lot of women were running a lot faster that me and I just couldn’t compete with them. I ran the World Cup in Canberra in 1985 and got blown away by these drug cheats – so I wouldn’t call it a failure, but it certainly helped me in working out what my best distance was. The 5,000m wasn’t on the program, I wasn’t quite fast enough for the 3,000m and the 10,000m was a bit far for me really…so what really set me up was running the road races in the States. I ran lots of 5ks and noticing that I was a lot faster at that than those who ran shorter or longer distances. I had a lot of failures along the way because of the that trying to get to the Olympics, although I did go to 3 Commonwealth Games. They helped pave the way in being an Olympian. I once had a thrower come up to me and say “You know, you’d me a much faster runner if you took drugs!”…so I knew there were drugs involved as a norm! Another time I was sitting in a massage tent in Canada one year having tried to make the 1988 Olympics and Ben Johnson walked in with a female athlete (whose name I can’t remember) and they were talking about how heavy their muscles felt and how they were about to come off the ‘juice’ before the start of the Olympics! Failures as a coach – I guess some of the failures I’ve had is not always appreciating that athletes are not always going to listen to you. When I first started coaching I thought everyone was like me – that the kids would listen to me and do the right thing. If I said ‘this is the training that will help you get further afield, then this is what you need to do.’ But I didn’t appreciate that kids didn’t and don’t always take on your advice and that not everyone thinks the same way as you. That’s been a bit of a challenge. Most of the athletes I’ve coached have learned something, whether it’s how to warm up, or how to contain your nerves before a race, that sort of thing. What advice would you give to other athletes wanting to become a coach once retired? I think just go for it! Athletes who want to become coaches are probably going to become very good coaches, because if they have been athletes before they understand what their athletes are going through and appreciate how much effort it takes. I think it’s really good if athletes want to become coaches, I whole henardeldy support them. If they wanted my support! I would give them the advice of ’don’t expect everyone to be like you’. You can’t expect everyone to want to do that, they might just be coming to the session because they enjoy running, but they don’t necessarily have any ambition. So I’ve learned as a coach that it’s all about the brain. People may have the physical ability, but they just haven’t got it up stairs, they just don’t have the right attitude. Unfortunately you can’t change a person attitude (and believe me I’ve tried!) And to change whats going on in their mind…they have to want it. You can’t make someone do something. But the advice I’d give is go for it – if you want any help or support let me know. Don’t hold expectations too high. You’ve go to learn about the athlete-coach relationship, learn about the athlete you’re coaching and figuring out how much commitment you should put in to them. I’ve had experiences where I’ve put in huge levels of commitment and one day the athlete just walked away. It’s sad, because they could have been really good athletes! Sometimes people cant take advice, which is a hard one to deal with. In New Zealand a lot of athletics coaches are volunteers, which I am, and theres only so much you can do as a volunteer. What book or books have had the greatest influence on your coaching career? I probably don’t read a lot of coaching books, I think because I’ve lived and breathed the sport since I was about 12, so I have learned a lot from my experiences. 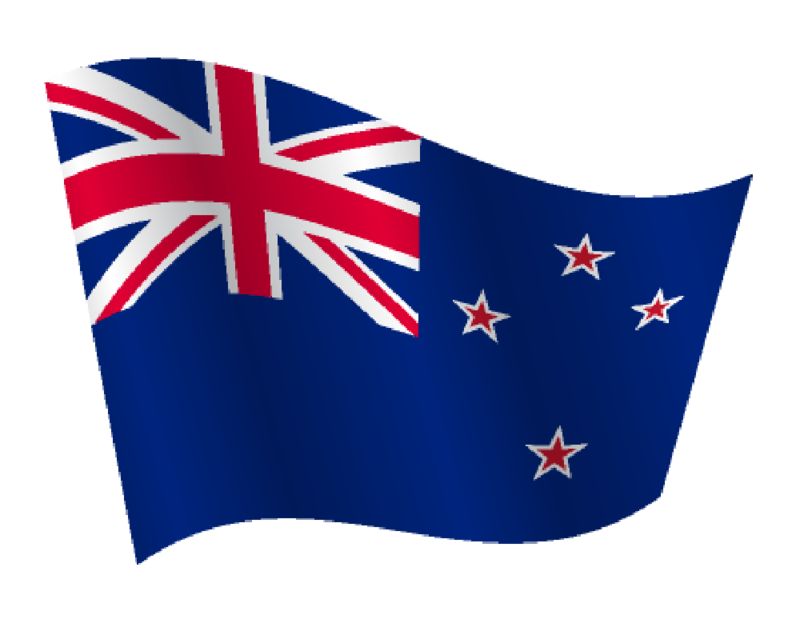 In New Zealand however, I have read the John Walker book – the first man to run 100 sub 4 minute miles. Learning from books is important, but it’s also important to learn from experiences and talking to people – this has been a big influence in my coaching career too. Arthur Lydiard A lot of people think he’s a distance man, but a lot of his books are about Fartlek and speed stuff such as sand dune running and drills etc. Other books include Ann Ordans book about personal relationships between her and her coaches. There a book out that one of my friends has written called ‘The Slow Art of Fast Running’ which is a really cool book – it puts a bit of tongue in cheek into running and running fast and it takes time… so there are loads of books out there about coaching and running. I think I am one of those people who have lived and breath it, so I tend not to go for those types of books anymore. I am more interested in reading other books. At the moment, I am actually reading about Steve Job’s daughter and her experience of her father (the founder of Apple). In the last 4 years or so, what new coaching belief or piece of knowledge have you gained which has improved your coaching? I think gender politics is alive and well…clearly men know more than women in lol…. So instead of fighting it or arguing with it anymore, I’ve just decided that ‘you know what, if people are that dumb, they are not worth me bothering with them’. Again that sounds terrible, but you can’t change peoples minds and thats what I meant about athletes and attitudes earlier on…you don’t want to get yourself bogged down that people don’t have to right attitude, they aren’t that intelligent…because otherwise you spend your life talking about it and worrying about it. You just have to take the people that want you to coach them and spend your time on them. One of the things I think I’ve probably gained the most in my coaching ability, is that I can cater to everybody and that they won’t all be doing the same training, I will figure out what each individual needs to train for. For me it’s just about being more focussed on the people that want you to coach them.